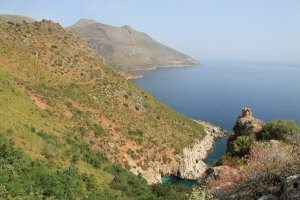 Cycle along the Tyrrhenian coastline of western Sicily. 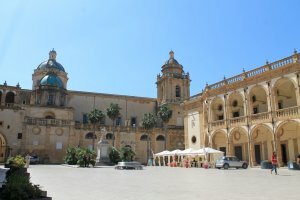 Experience West Sicily and see the beautiful countryside with boasting olive trees, vineyards and the history in abundance. 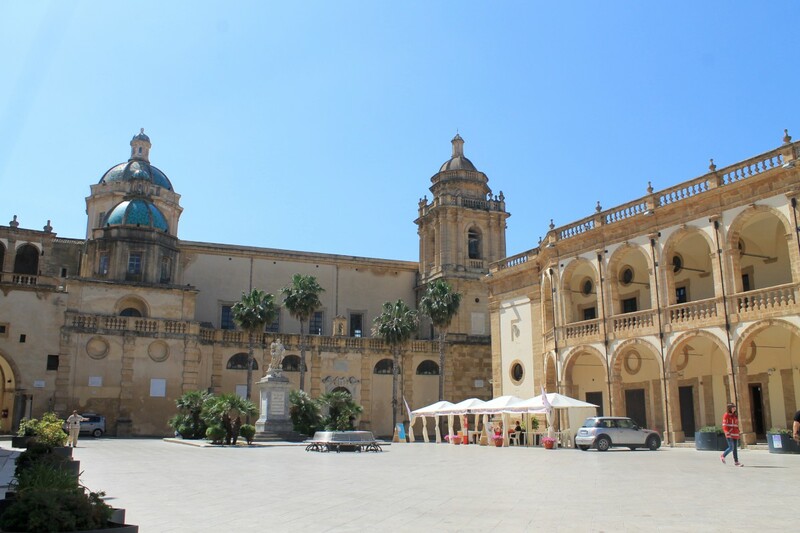 You cycle trough towns like Val di Mazara, Segesta, Trapani, Marsala and Selinunte. 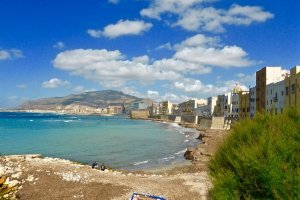 This cycling tour will be along the fabulous Tyrrhenian coastline of Western Sicily for the most part. However it will also allow you to ride inland through the countryside of Sicily. You’ll ride some 190 km on your Trekking or E bike. The self-guided West Sicily features many highlights, you will experience and see the greatest views of the West coast of Sicily. 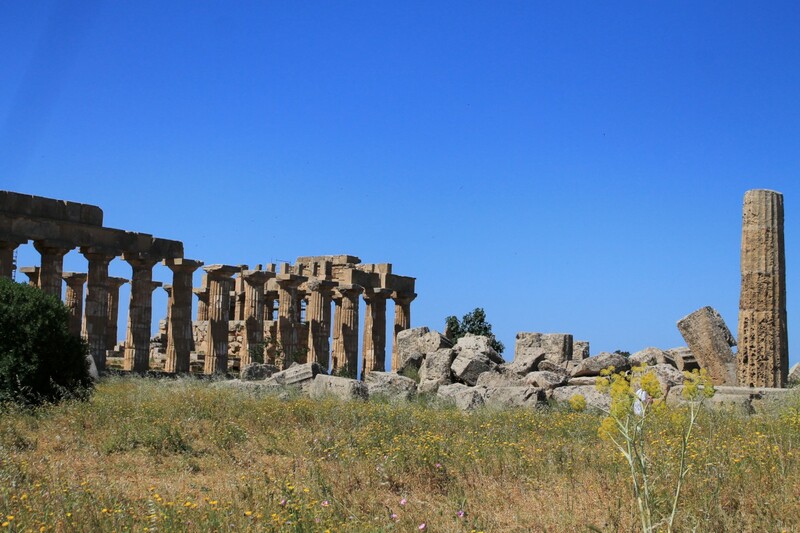 Your Self-guided West Sicily cycle Trip starts from Scopello. On the first day you’ll cycle only 6 km and walk another 14 km in the beautiful National Reserve park Dello Zigalo. On the second day you’ll cycle to Trapani and experience the hinterland of the Sicilian countryside. Stops worthwhile are the archaeological site of Segesta and Erice a lovely medieval town before you arrive in Trapani ( the city of Salt). 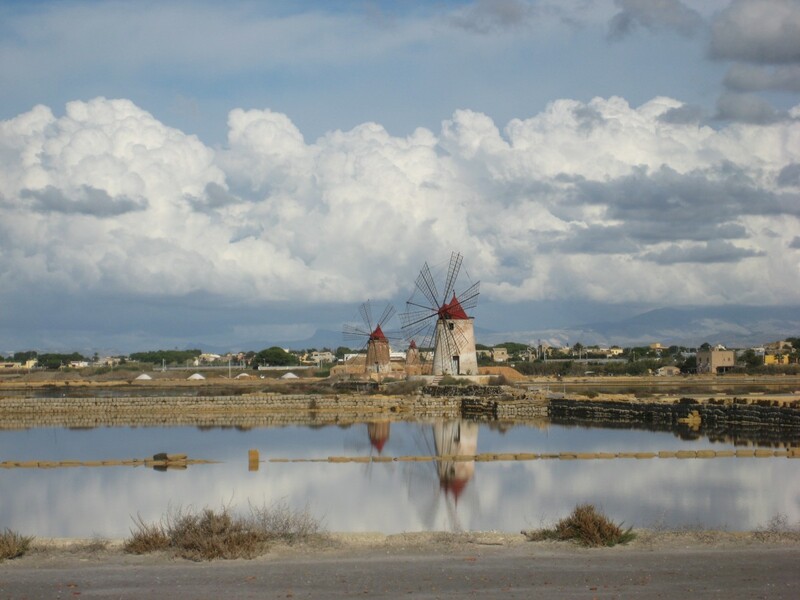 The next day the route goes along The Salt Way where you’ll see old windmills and finsh in Marsala. 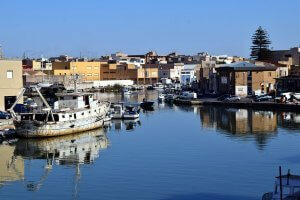 From Marsala you go further to Mazara Del Vallo which is beautiful because the Tyrrhenian coastline. From here you cycle to your last stop Selinunte and continue in the direction of Campobello di Mazara, a little village known for its tasty olive oil. At the end of this day you reach the beach where you be able to take a swim. The archaeological site of Segesta, an ancient city founded by the Elymians more than 2500 years ago. Marsala, the city of wine, also famous because of the landing of Garibaldi. See the Tyrrhenian coastline surrounded by vineyards, olive trees and several baglio, walled country estate where all agriculture activities concentrated. Campobello di Mazara, a little village known for its tasty olive oil. Arrival in Castellammare del Golfo, a beautiful portal town whose history goes back to the classic antique era when it was the harbour of the towns of Segesta and Erice. Handover of the bikes and the tour information. Today you will be trekking through this fabulous nature reserve (14km on foot both ways) where you will have the chance to explore both the Sicilian mountain side and in my opinion, the most beautiful stretch of coast of Sicily. You will have the chance to swim in every bay you fancy and to visit the several museums scattered along the main path, telling you about the unique landscape you are exploring and its ancient traditions. After admiring the fabulous gulf of Castellammare, only few kilometres from Scopello, the first ride of this tour will allow you to explore the hinterland of the Sicilian countryside where olive trees and vineyards are in abundance. 25km into this landscape, alternating ascents to flat parts, you will reach the archaeological site of Segesta, an ancient city founded by the Elymians more than 2500 years ago. 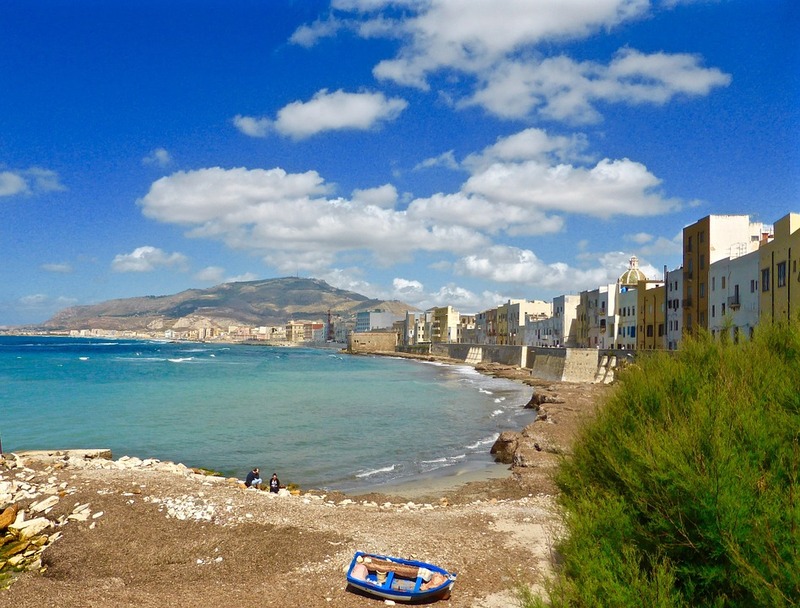 From here, following secondary country roads, you will finally arrive in Trapani, known in Sicily as the city of Salt. Don’t miss an evening stroll in its pretty old town. Today you can choose between two possibilities. Your fist option is a visit to Erice, a lovely medieval hamlet, nestled on top of a mountain at 750m. You can either reach the mountain by car (you can also take your bike inside) or cycle up. 11km of sharp, steep bends separate you from reaching the summit and from enjoying the spectacular view stretching till the Egadi Islands. 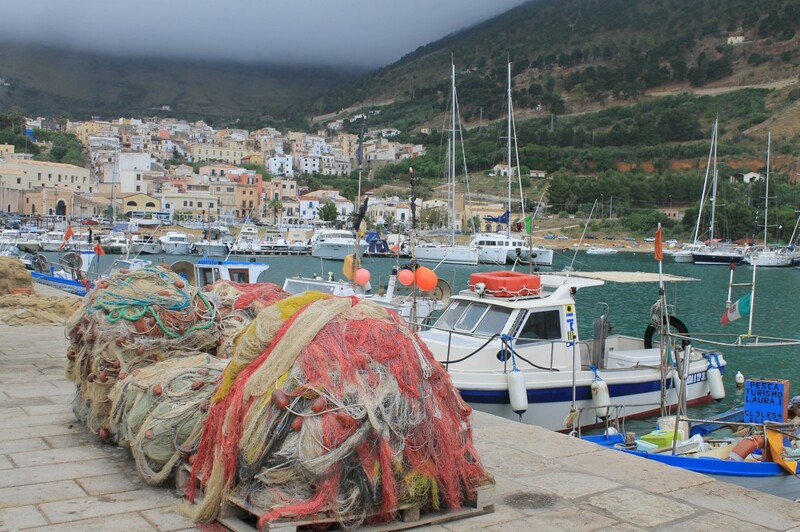 You will ride down the western slope and through the village of Bonagia you will head back to Trapani. If you rather relax and enjoy the peace and quiet of the largest of the Egadi Islands, Favignana is your best bet. You can reach it by ferryboat (you can also take your bike with you) and once there you can cycle everywhere and reach all the hidden coves and inlets to swim in places of untamed beauty. Today’s ride is almost entirely flat. 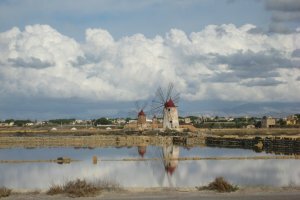 You will be cycling along La via del sale (The Salt Way), a series of lagoons and salt pans where salt is still extracted nowadays with the use of old windmills. 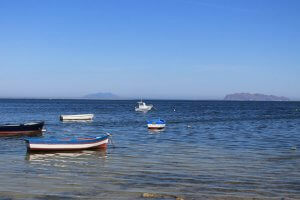 Across the lagoon you can also catch a motorboat to Mothia Island which is the cradle of our Phoenician legacy. 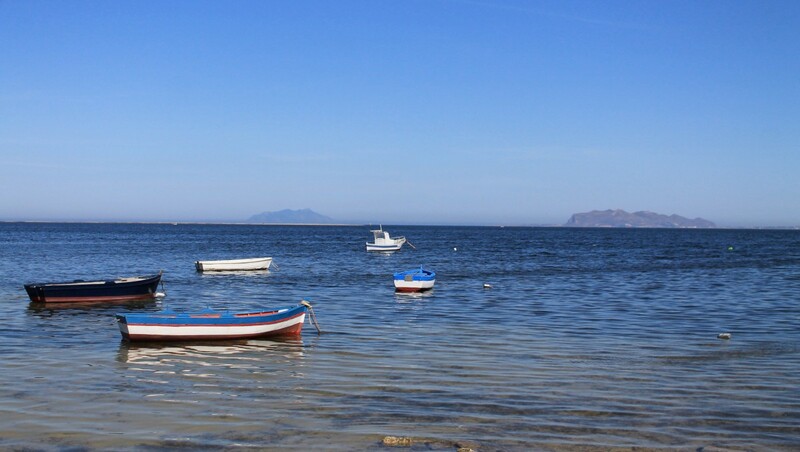 You will follow the seaside all the way to Marsala, the city of wine, also famous because of the landing of Garibaldi. You will continue to cycle along the beautiful Tyrrhenian coastline, at times venturing slightly inland where you will be surrounded by vineyards, olive trees and several baglio, walled country estate where all agriculture activities concentrated. 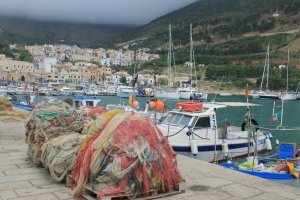 You will then reach Mazara del Vallo, a city with a strong African feel which has also the most important fishing fleet in Italy. It was here that the Arabs landed when they invaded Sicily in the 9th C. and strolling through its narrow Arabic quarters is a unique and wonderful experience. 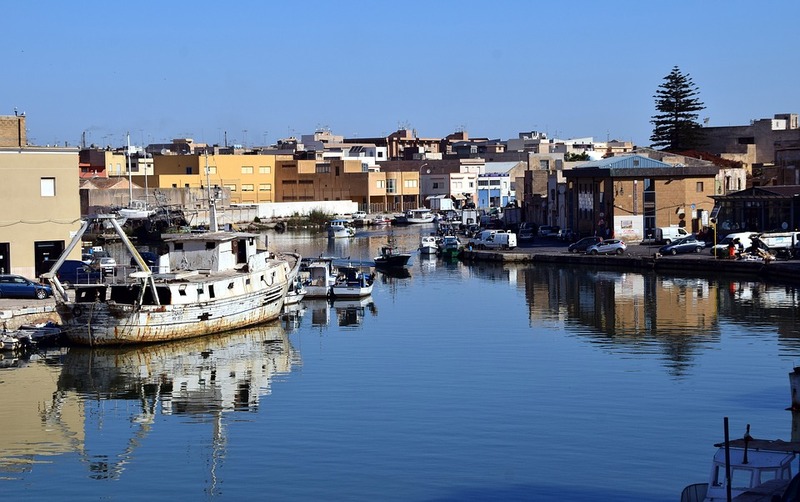 Leaving Mazara behind you will ride along a road that runs parallel to the coastline and that will take you to Lago Preola and Gorghi tondi nature reserve. It’s a valley with several lakes of Karstic origins which attracts plenty of migratory birds into its marshes. You will continue in the direction of Campobello di Mazara, a little village known for its tasty olive oil, along a hilly road that will lead you Cave di Cusa. This is a special archaeological site where all the material needed to build the temples of nearby Selinunte was extracted. Only 13km from here, you can visit the ancient Greek town of Selinunte that, with some of its imposing temples still standing, will make you go back 2500 years. You can also head down to the beach of Selinunte for a swim.